The Bluefire JP series provides a softer topsheet, a softer feel, and improvements in the short game when compared to the Bluefire M series. 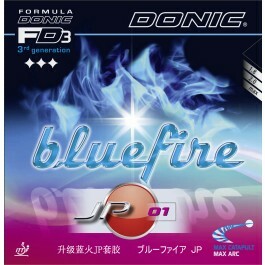 The Donic Bluefire JP 01 is a hard, fast, and powerful rubber with a great catapult effect. While there is speed and power in all attacking strokes, the strong suit of this rubber comes forth on counterlooping. The power this rubber yields combined with its catapult effect allows for a very high level of quality on counterloops. This rubber is focused on players looking for power, especially when they find themselves at a long distance. Very fast rubber, easy to loop and has a good medium high throw angle. A bit sensitive to spin, i have trouble returning serves. Boosted this rubber is amazing, loops are fast and im able to pick up low balls that will curve over the net, however serve returns are also greatly impacted. This rubber has very good sping, it performs really well, good for an offensive game, good control, for it's price in promotion it's very good, similar to tenergy of butterfly, but shipper than this one. Sponge thickness 2.0 mm. Good rubber for forehand. And of course, good service by TT11. Will order again most definitely! Очень быстрая доставка упаковано хорошо. накладки отличные не хуже тенерджи лично для меня. I'm using it on FH. Speed isn't as fast as M1 but the control is way better than M1. Not too sensitive to spin. speed and control are 1:1 in both close to table and away from table. I combine this rubber with Jun Mizutani ZLC. they are perfect match for me for my FH. Tenergy is too pricey. JP01 can't go wrong. Medium hard sponge and grippy rubber good for generating spin. I won't recommend this if you are purely looking for speedy demon rubber. Best FH rubber I've ever played with, topspins are really easy and require no effort. Love the soft sponge. good rubber easier to play with than M1. good for fh and bh.. 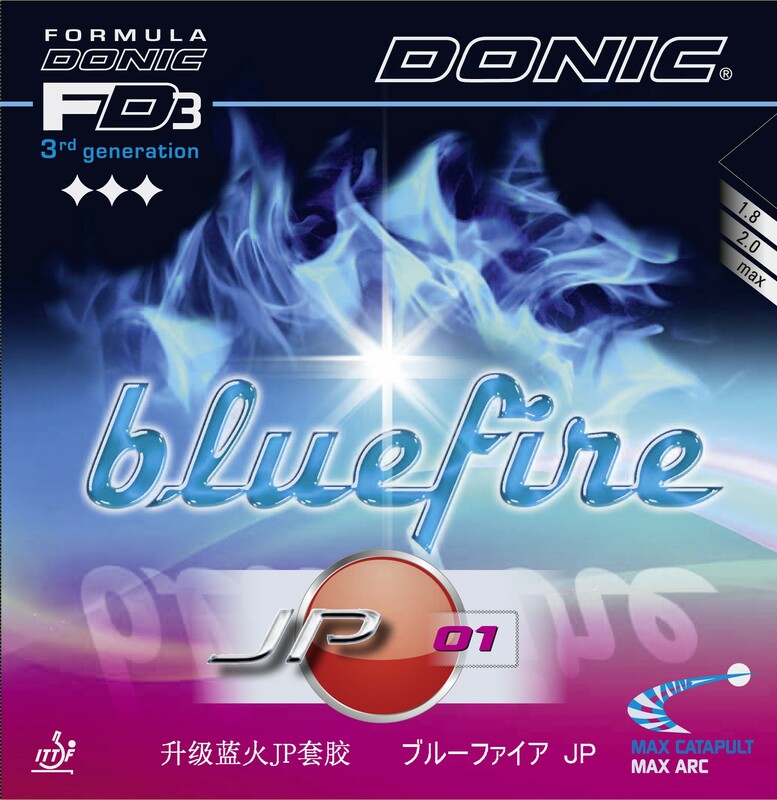 Same spin and more controllerble than Bluefire M1. 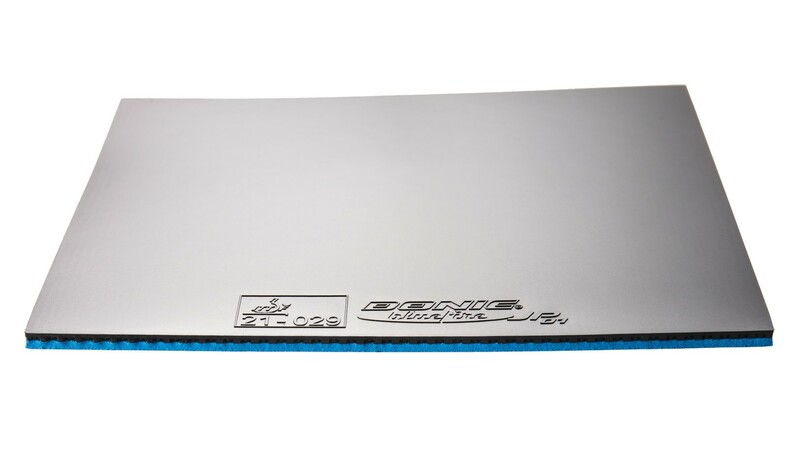 Top sheet is softer than Bluefire M1. It's softer than domestic version. I can't play because it so soft.